Activision has a major beef with EA over its alleged responsibility for the Infinity Ward debacle. Activision has amended its cross-complaint in the lawsuit that former Infinity Ward heads levied against the Call of Duty publisher to include Electronic Arts as a defendant along with Jason West and Vince Zampella. The amendment claims that executives at EA, including CEO John Riccitiello, conspired to poach West and Zampella, and were significantly responsible for the exodus of many Infinity Ward employees to the newly formed Respawn Entertainment. Activision says that EA was meeting with West and Zampella as early as July 2009, citing an example from a month later where EA flew the two out on a private jet to Riccitiello's home for a secret meeting. 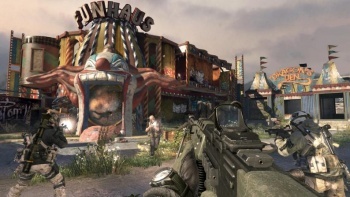 The purpose of the meetings were to "conspire to set up an independent company staffed by key Activision employees, including designers, programmers, artists, and others from Activision's Infinity Ward development studio, thus draining the studio of talent and potentially delaying future Call of Duty games." This was done with knowledge that West and Zampella were under contract with Activision for two more years. Activision names Riccitiello, COO John Schappert, talent agency Creative Artists Agency, a former member of Activision's Board of Directors, and a former Activision lawyer as specific conspirators. Seamus Blackley of the CAA reportedly told West and Zampella he thought they could "accomplish some interesting chaos," and that "[John Riccitiello] cooks a mean BBQ" with the intention of courting the duo over to EA to work with them. The amendment also states that West and Zampella, with the aid of EA, neglected to perform their expected duties as executives by refusing to work with Treyarch on a "unified brand," and by preventing Infinity Ward employees from becoming eligible for paid incentives so they would be easily lured away to "disrupt and destroy Infinity Ward." It details a situation between Infinity Ward and Treyarch where the two entities released promotional trailers, for Modern Warfare 2 and Call of Duty: World at War respectively, at the same time. Though West claims it was accidental, text messages allegedly reveal that West had the intention to "crush" Treyarch's marketing campaign for its World at War map pack. Activison wants $400 million from West, Zampella, and now EA for its "loss of profits, costs incurred from rebuilding Infinity Ward, and damages from 'delays and disruptions,'" in addition to a return of the compensation already awarded to West and Zampella. If Activision wins the judgement, EA is going to have to make sure that the next Medal of Honor, or Respawn Entertainment's first product, really make up for it. Update: EA has responded to Activision's amendment by saying that it's all true. Just kidding. In a statement to the LA Times, EA spokesman Jeff Brown wrote: "This is a PR play filled with pettiness and deliberate misdirection. Activision wants to hide the fact that they have no credible response to the claim of two artists who were fired and now just want to get paid for their work." I say they just settle the dispute with a multiplayer game of Doom II. Shotguns and rockets make everything better.